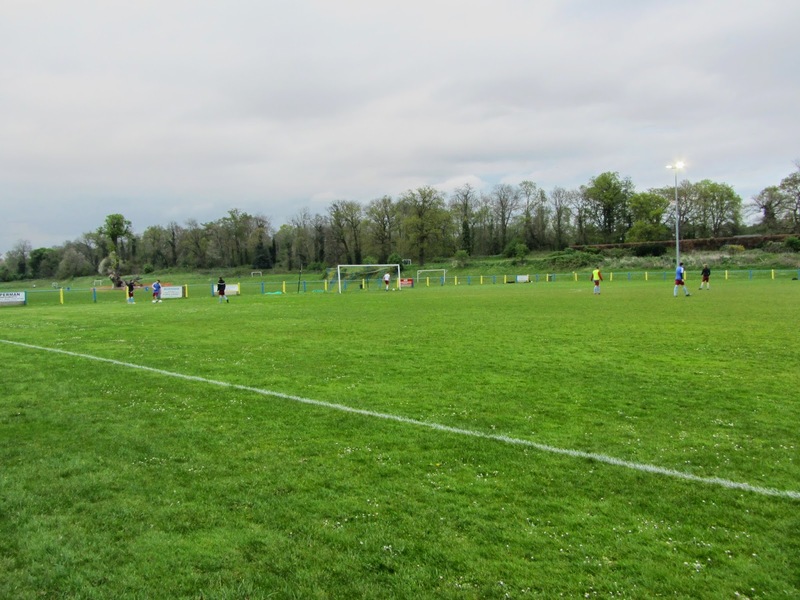 My ninth stadium of 2014 was on Tuesday 22nd April at Bellmount Wood Avenue in Watford, Hertfordshire. 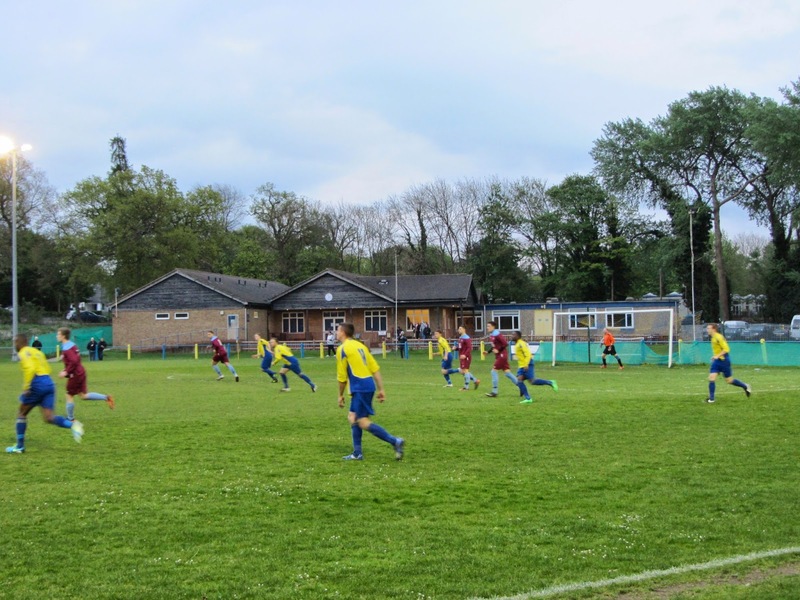 The match was Sun Postal Sports vs. Welwyn Garden City in Spartan South Midlands League Division One. Bellmount Wood Avenue is the site for the Sun Postal Sports & Social Club which sits right on the very outskirts of Watford. To the south and east is the residential Cassiobury area of the town with woods to the north and west. The venue has been home to the club since 1937. There is one all-seated structure which sits level with the half-way line on the western side of the venue. 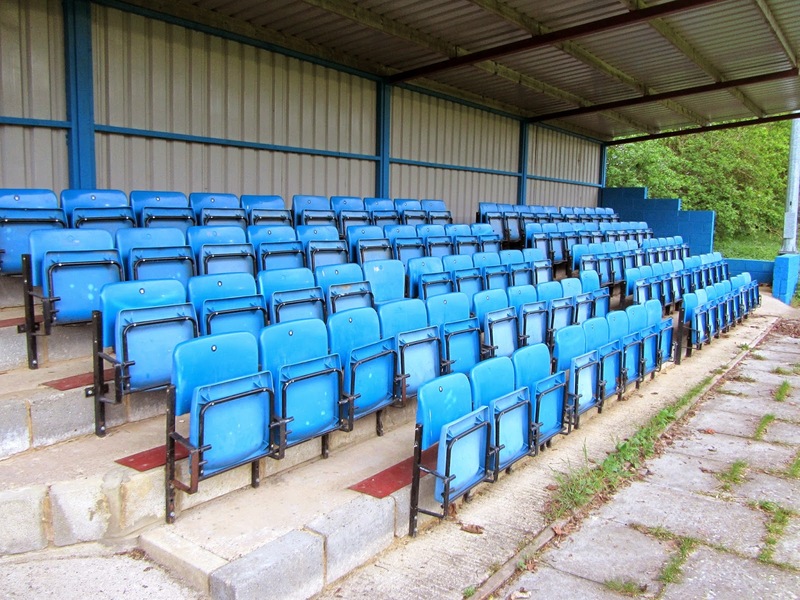 This stand is a concrete terrace with 96 seats bolted to the middle section. There is space on either side of the seating for standing and it is covered by a metal roof. The rest of the stadium consists of uncovered standing, some concrete, but the majority is grass. The eastern side of the ground has the dugouts positioned by the half-way line and the social club is located to the south-east of the pitch. This social club contains a large hall including a bar as well as the other club facilities such as player dressing rooms. It was an action-packed game from the start as the visitors took the lead in the 4th minute - after a shot was blocked in the Sun Postal box the ball ricocheted off Welwyn's Perry Stellon and ended up in the back of the net. 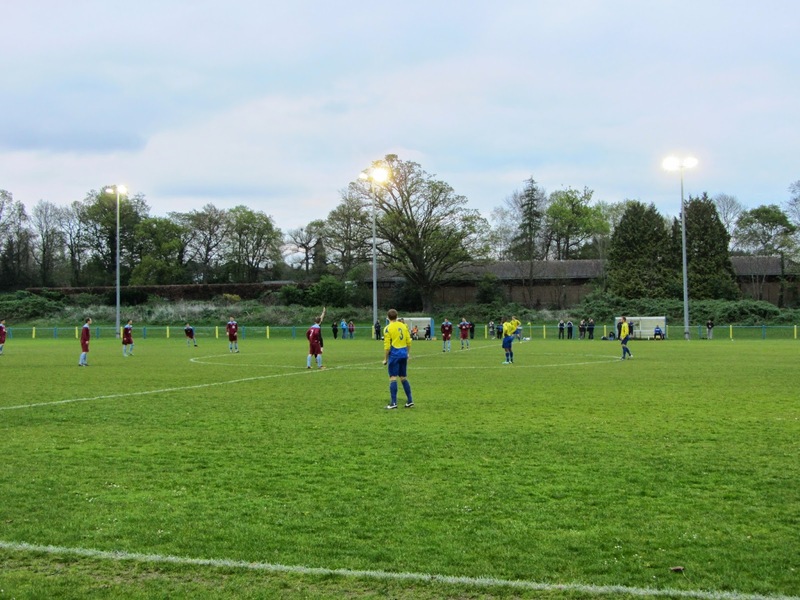 The hosts responded quickly and levelled in the 11th minute when Colin Wilson's free-kick was met by Dan Tomkins who slid the ball in on the goal line. Just a couple of minutes later they were awarded a penalty when a handball was spotted in the area. James Armstrong tucked away the spot kick to complete the turnaround. Around the half-hour mark Sun Postal put the visitors under pressure with a series of corner and finally one got through as Ashley Lewis headed home to make it 3-1. There was still time for Welwyn to reduce the deficit before the break as Jason Caswell's drilled shot from the edge of the box went in off the post to end an entertaining first 45 minutes. Sun Postal restored their two goal lead in the 53rd minute after Craig Lynskey slammed home from close range and any hope of a Welwyn comeback was dashed in the 67th minute when they were reduced to ten men for a second bookable offence. It was surprising it had not happened earlier as the game had been an extremely bad tempered one. This quietened the game down a bit though Sun Postal added a 5th through Ashley Lewis late on to run out 5-2 winners as they continued on their way to the Spartan South Midlands Division One title.